Note: this is the first in a series of posts dedicated to digital marketing for healthcare. Following posts will address such topics as Conversion Rate Optimization (CRO), Search Engine Optimization (SEO), and the importance of mobile. The healthcare industry is in the midst of an upheaval the likes of which have not been seen before. Changes to Medicare reimbursement formulas, HIPAA, the rise of the super group, and the way insurance works all play a role in shaking the very foundations of healthcare. With increased competition for the healthcare dollar, hospitals and groups are turning to digital marketing to improve their awareness and lead generation. 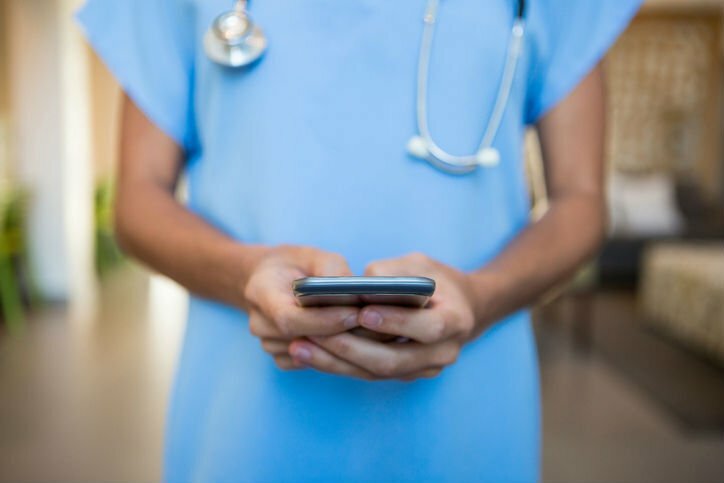 Building a digital campaign focused on growing awareness and lead generation can make an immense difference to both hospitals and healthcare groups. If you’re wondering about some of the digital marketing tools that are available for healthcare, read on. It wasn’t very long ago that – from a marketing point of view – everything was driven by a physician’s name. Patients sought practitioners they had heard of. But the rise in choice of healthcare played a role in changing how consumers look for medical services. Today, consumers want what they want when they want it. Rather than fight against the change, embrace it, and use it to your advantage. Focus on the services you offer, not the physicians who offer them. Ask what sets your group or hospital apart and build on the answer. Your website is the hub of your digital efforts. It’s where you want to drive your leads, because it’s the primary spot where you’ll turn your leads into consumers – your patients. You want your site to be optimized for search keywords, usability, and content. Doing so will help your website appear further up Search Engine Results Pages (SERPs) for the services you offer, and help increase the likelihood that users will remain on your site and get to know you better. If it’s not already, be sure to convert your website to support mobile. According to the Pew Research Center, nearly two-thirds of Americans own smart phones, and for many these are key entry points into the digital world. You want to be able to serve information to the user in the way that he/she wants it. Being able to click to call or make an appointment provides easy response mechanisms. In addition, you can bring in potent call tracking tools to help you measure your success. Today 80% of any decision to purchase is made before the service provider is contacted. Gone are the days when consumers had to go to a provider to find information. Given that, it’s important to be a part of the decision making process early on – while consumers are pulling together the information that will drive their decision. How do you do that? By providing great content that will help consumers in their research process AND establish you as an expert in your field. Offer articles on your expertise and any other helpful information that consumers can use. They will thank you with their business. Remarketing is a powerful tool for targeting your audience. It lets you reach the people who have already visited your site by showing display or social media ads while they browse the web. It reminds them that your practice is out there. A best practices note: it’s important to set the frequency cap to limit impressions – you don’t want to bombard your audience and risk turning them off your brand. Don’t forget to add a conversion action that your users will respond to. A call-to-action such as ‘Schedule an Appointment’ provides a high level of reach and will get patients through your doors. Think HIPPA precludes the use of social media? Think again, because you can use social media while respecting HIPPA. Social media can help with brand awareness and establishing expertise. If you’d like more information on how healthcare organizations can use social media, be sure to read our post. Perhaps the best way to demonstrate what a digital marketing campaign for healthcare looks like is to take a look at a campaign VONT and Ethos developed for OA Centers for Orthopaedics in Portland, ME. When Ethos and VONT began working with what was then Orthopaedic Associates of Portland, Ethos recommended a rename and a rebrand to differentiate their premier specialty orthopaedic practices from hundreds of practices named Orthopaedic Associates nationwide. Renamed and rebranded as OA Centers for Orthopaedics, the practice began to market the brand, the service line, and the physician in that order, rather than physician first, service, then brand. Some radio, display, and PR were used in the efforts, while the goal of the digital campaign was to bring users to the redesigned website by targeting people with insurance who had orthopedic injuries – those people who searched on keywords such as ACL injury or orthopedic care. The conversion action was to schedule an appointment. OA had an enormous volume of good content around a variety of orthopedic conditions such as ACL, rotator cuff, and spine related injuries, so not a lot of new content was needed. VONT optimized the current content for organic search by focusing on a concerted SEO effort that entailed optimizing content and building links. These organic efforts were complemented by an awareness raising display campaign. Display ads focused on professional athletes who chose OA. Ads were shown on a 7-day rotation and reinforced the brand as well as drove users to the website. Remarketing was also used as brand reinforcement for previous visitors to the site. Ads reinforcing the brand were run for 30 days – the time in which patients usually receive orthopedic treatment. A frequency cap was used to limit impressions to one impression per day. Females have been shown to make 80%-85% of medical decisions – these are the moms, girl friends, spouses of people with sports injuries. Knowing this, VONT set up a social media campaign supporting OA’s Saturday morning clinic by targeting those influencers of athletes who may have been injured in Friday night games. An AdWords paid search campaign was also used for specific keywords relating to injury. A paid search campaign is effective because it allows your ad to reach people at the very moment they are searching for what you have to offer. The result? There was a broad level of reach and patient counts at OA soared. Conversion cost was $25/appointment. Creating a digital campaign for healthcare is best served by a holistic approach. Make sure you have a good brand as a platform then leverage it by building awareness. Know your audience. Be found when people are looking for procedures. Remarket to reinforce your brand. We believe in this idea of continual fine-tuning so much that we named our company VONT, which means to achieve exponential improvement in incremental steps. It is our core belief, and the reason why we are not simply a web design company or simply a digital advertising agency, but rather a long-term, single source partner providing a comprehensive array of web development and digital marketing capabilities including digital marketing for healthcare.